You'll find plenty of bug and quest fixes to make your experience a bit smoother. 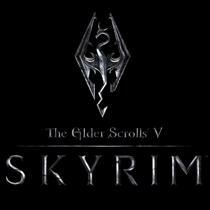 It's agreed by most critics and a good chunk of gamers that 'Skyrim' is a great game. It's huge, it's fun and it gives you a great deal of freedom in play style. What isn't as great though is the huge amount of bugs present in the title at launch. Patch 1.4 will be getting rid of some of those bugs and improving some things along the way. Some of the big ones include game crashes while loading saved games, crashes related to AI and, well, other crashes. PS3 users will be happy to note that Bethesda has made "Long term play optimizations for memory and performance." The biggest news comes for PC gamers, who will soon be getting access to the 'Skyrim Creation Kit' made specifically for those that wish to modify the game. The company has been releasing these kits regularly for its games and they've resulted in some very cool things. A date has not yet been announced for the kit.